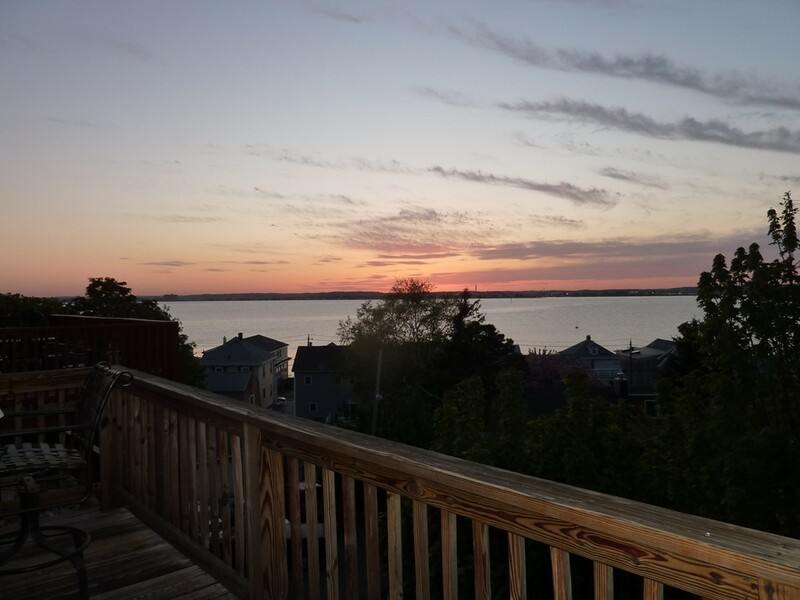 Located on one of the highest points in Nahant with westerly views of the sunsets, this charming house has a beautiful deck to sit and enjoy the views with access to the nearly new, tastefully appointed kitchen with warm wood cabinets and wood flooring. There are two bedrooms up with a 1/2 bath and the lower level features another deck with views, third bedroom, sitting room, walk in closet and full bath. Lower level has views also and would be perfect for in-laws or guests. Living room is spacious enough to accommodate a dining room table with wood flooring. There are two and a half baths and parking for up to five cars with a wood shed for storage. Easy to show!